Backpacking can be a really great life experience, especially for youngsters on a tight budget! If you have wanderlust in your veins and a bucket list goal to backpack your way through your favourite countries, soaking in the culture, taking in the views, and meeting some interesting characters along the way, then backpacking may well be for you! But it’s important not to forget (and we don’t mean to rain on your parade here! ), that backpacking can also be a challenge. It’s often overwhelming to take your first trip unsupported by the certainty of a clean and comfortable hotel bed to rest your weary bones each night, not to mention without the promise of three hearty and healthy meals every day. It can be difficult to stay fit and healthy while backpacking – your bank account may prefer you to sleep under the stars and eat only noodles, but your body disagrees! Some youngsters can push their bodies to the limit while backpacking, with weeks of sleep deprivation, poor diet and excess alcohol. Then, upon their return, they find themselves seeking the advice of our private GPs at LDC to help get back to good health! So, if you’re excitedly planning your first backpacking trip, but looking to avoid a nosedive in your health during your adventures, read on below for our fool proof tips on how to stay healthy and well while travelling light! You might think you will spend the whole day on your feet while backpacking and it’s true that sometimes you will need to move from one area to another on foot. But, it’s all too easy to get super cosy in the hostel’s communal area, watching movies all day. If the sun is shining, get out there and explore; build being active into each day, and make natural exercise part of who you are! From diving to hiking to biking, 30 minutes of focused activity every day will keep you fit and strong. While travelling you can still squeeze in your daily exercise with more interesting activities such as scuba diving! Ok, you’re on holiday, you’re in the middle of nowhere with friends, and you’ve got no responsibilities. Plus, it’s so cheap! We know all of that, and there is nothing wrong with enjoying the odd drink. But did you know that the number of calories in a six-pack of beer is the same as eating two full loaves of bread just to yourself?! If you must drink, switch to spirits and a low calorie mixer – your waistline will thank you later! Cooking facilities might be hit and miss, but there is no need to survive on noodles and crackers! Most places, no matter how remote, will have a variety of local fruits and vegetables on offer, and, as long as you wash these well, they will be safe to eat. Commit to snacking on fruit, nuts, and seeds and drink plenty of bottled or boiled water to keep your energy levels up. Make protein and healthy carbs such as brown rice or pasta the focus of your main meals, limit unhealthy sugary treats while on the road and you may even return from your trip a few pounds lighter than when you left! Don’t forget to keep eating your 5-a-day of fruit and vegetables while travelling! Travelling may look like it’s all fun and games, but it can be tough to spend all of your time in the company of other people, even if you are an extrovert. Moving away from the camp or hostel for 30 minutes of “zen” time now and again can really set you up for the day, help you to sleep at night, or allow you to replenish your mind and body, ready for another great day. Just be careful not to move too far away; getting lost will kill your buzz in record time! Unless you’ve been living under a rock, you’ve probably heard about the endless benefits of this wonder oil. Moisturiser? Eye makeup remover? Sunburn? Cooking oil? Turn to coconut oil. It’s much better for your body and the environment than many other oils, it’s readily available in most places, and it tastes great! Did you know that coconut oil is a great way to sooth the discomfort of sunburn? Bring any necessary medication with you, and remember to pack a remedy for easily fixable issues, such as pain or diarrhoea, with you too! The second most important thing to look after while travelling (after your health, of course) is your passport! 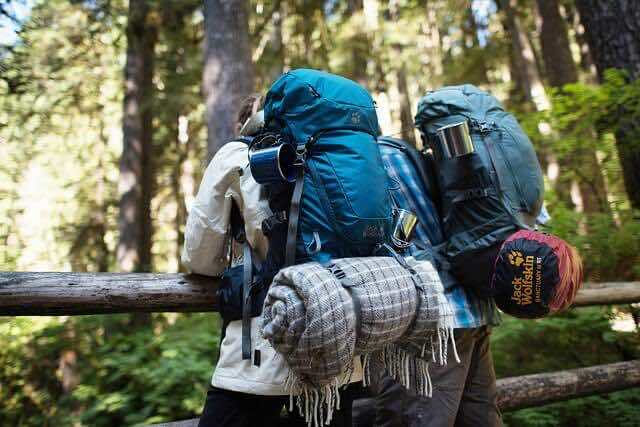 There you have it, 6 top tips for staying safe while backpacking this summer! Should you find yourself at all worse for wear upon your return, you know where to find us – at any of our 9 central London private GP clinics. Our GPs at London Doctors Clinic are available seven days a week to tend to your post-travel wounds!